Every business whether big or small wants to grow in order to reach the heights of success. Business owners are busy in making new plans, hiring new employees, and maintaining the routine tasks. Moreover, there is no denial of the fact that to grow business you need a robust telemarketing service provider. The right fit can actually help your business grow quickly as it can help you in transforming your potential customers or targeted section of individuals into actual customers swiftly. However, finding the right telemarketing service provider is surely a tough nut to crack. Infact, the biggest confusion that an Australian business faces is deciding the place where it want to outsource its telemarketing services. It is recommendable for Australian business owners to do telemarketing outsourcing in Australia as it has ample of advantages over the most preferred option of offshore outsourcing. Herein, we list top six benefits of telemarketing outsourcing to Australia. Take a look. 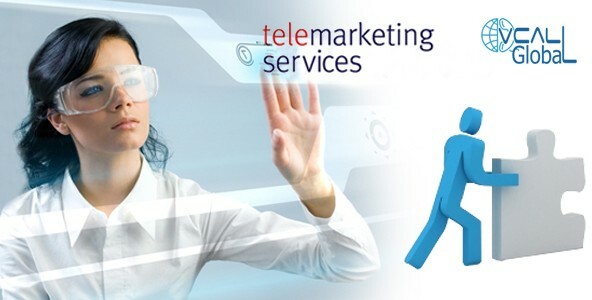 Telemarketing services are an integral part of every business. When you outsource the work, telemarketing services agents of the outsourcing company handle calls on your behalf. Initially, you will face some difficulties in coordinating with the company and in conveying it your expectations. Besides, chances are you will also be required to guide the businesses when they will do something wrong. In such a situation, it will become difficult for you to harmonise everything if you will outsourc the service offshore. On the other hand, if you will do telemarketing outsourcing in Australia itself, you will be able to coordinate with them seamlessly. Not just this, you can even hold them accountable for not completing the targets. On top of that, you can pay client visits to the company you have outsourced the services if it’s a locale. Clearly, maintaining a balance, getting reports and holding one accountable for their doings is quite easy when you know the outsourcing company in real. If you will do telemarketing outsourcing in Australia itself, your company will gain a lot of credibility in the eyes of your prospective clients. Generally, companies who have outsourced their work to a different country are not considered very reliable by the clients. Hence, in order to ensure that you do not lose a client because of this very reason, you should outsource your telemarketing services to a company of Australia only. While the baits given by offshore telemarketing companies are quite enticing, it is always better to outsource your work to an Australian company. Let’s find out how. The biggest bait that offshore companies give is that of a large pool of agents at a minimal cost. Though this is true to a certain extent, what would you prefer? Quality or quantity? Australian service providers would be able to cater to your needs better with a lesser number of agents as well. Moreover, even if the offshore service provider would be able to pitch to more potential clients, it would not be able to turn them into customers because of the quality. You can never be sure of the company, its way of executing and managing work and above all the agents who are representing your company in front of your customers and clients. It is very important to know the company and its agents in person so as to know how presentable they are, how well they speak. Video calls don’t help much in this regard. Hence, opting for Australian outsourcing company is the best. You can actually meet the agents of the company and can tell the manager of the company your agents’ preference. All this will make you comp0letley stress-free and will also allow you to focus more on the core business tasks of your business. Though English is a universal language, the accent differs from not just country to county but from state to state as well in some cases. If you will hire an offshore lead generation company, the agents will obviously talk to your Australian customers in English but the accent would differ. This might create confusion and misunderstanding due to unclear communication. However, if you will an Australian company for these routine tasks, the whole process of communication will become a lot simpler. Due to the same accent, both the agent and the client would be able to understand each other’s say clearly. The aforementioned points are just a stone throw in the wide array of advantages that a company can avail by outsourcing work to a local vendor. So, think no more and hire an Australian telemarketing service provider today. Also, show some love by sharing this blog post.